Mountain Hospice has an exceptionally trained, caring, and dedicated staff to provide hospice services when you need them most, regardless of whether you are in your own home, living in a residential facility, or a hospital. Our hospice services extend to wherever our patients need us. We often begin assisting our patients in the hospital soon after a debilitating diagnosis is made. Our professionally trained, skilled hospice staff is able to continue to assist our patients in a hospital setting, in the patient’s own home, or a residential nursing care or assisted living facility. 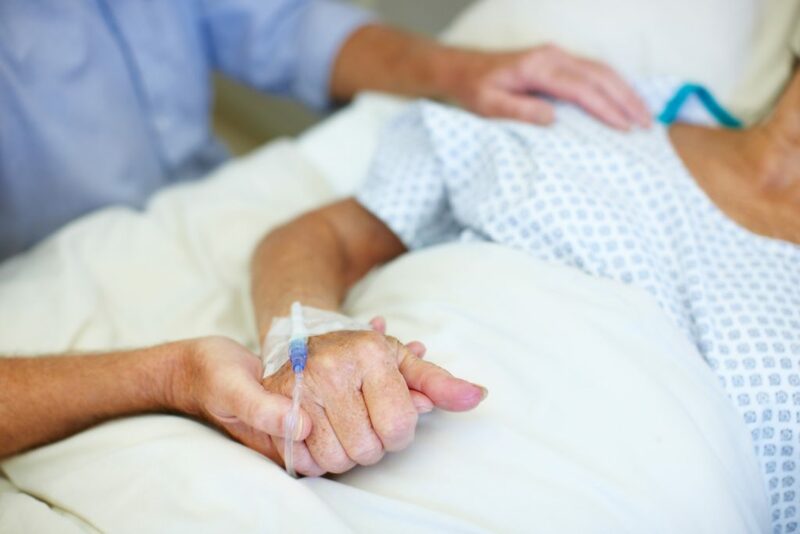 Hospice services in the hospital minimize pain and discomfort associated with you or your loved one’s illness and may result in a shorter hospital stay. Receiving hospice services in the hospital often times leads to a smoother transition to a nursing facility or home. An easy transition reduces stress and pain on the patient, which is a main goal of our services. We truly are dedicated to helping you or your loved one get the compassionate care and hospice services needed. Mountain Hospice serves residents within a seven-county region throughout north central West Virginia. We currently have locations in Barbour, Grant, Mineral, Pendleton, Pocahontas, Randolph, and Tucker Counties. We have offices in Belington, Elkins, Franklin, Keyser, Marlinton, and Thomas, WV. Mountain Hospice has staff throughout the entire region on-call and ready to assist you. If you are in a regional hospital and are in need of hospice services, be sure to give us a call. We are available 24-hours, seven days a week. If you do not see your hospital listed, please do not let that stop you from contacting our office.